This Club Profile is PRIVATE, but the Club Site is OPEN to all visitors. 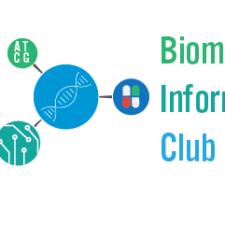 The Biomedical Informatics (BIB) Student club exists to advocate, provide support and services to fellow Biomedical Informatics undergraduate students here at New York City College of Technology. We aim to assist students in gaining opportunities and discovering information that is relevant and beneficial towards the degree requirement of the program. Through the expansion of knowledge, workshops, field trips and invited speakers, we hope to give students the option to network and attain skills required for classes including the internship. This is a student-run club which is advised by faculty members, Professor Eugenia Giannopoulou and Professor Mai Zahran.